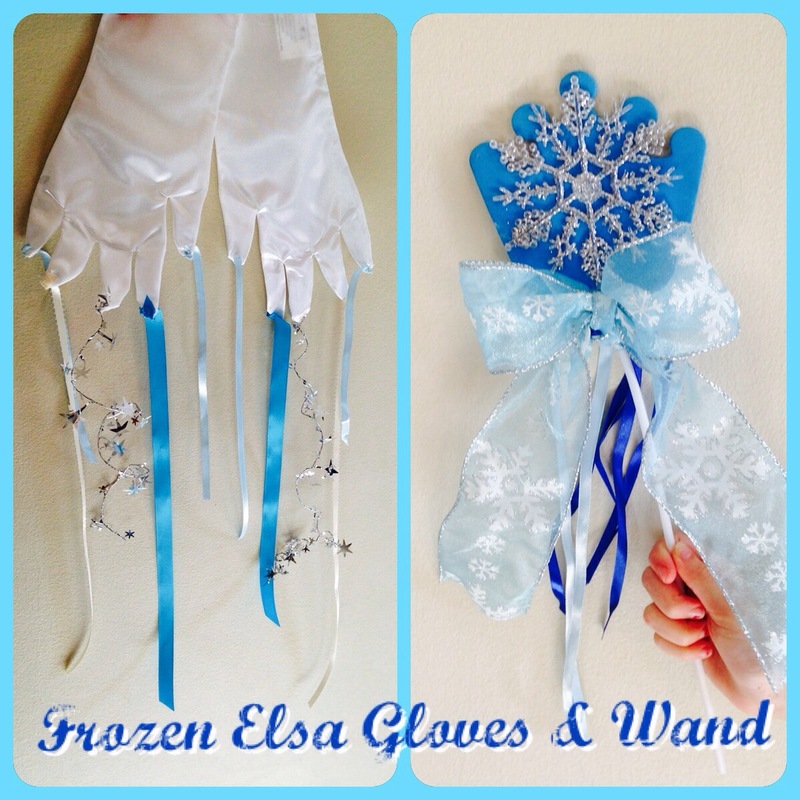 Frozen Dress-Up DIY | My Crazy Blessed Life! 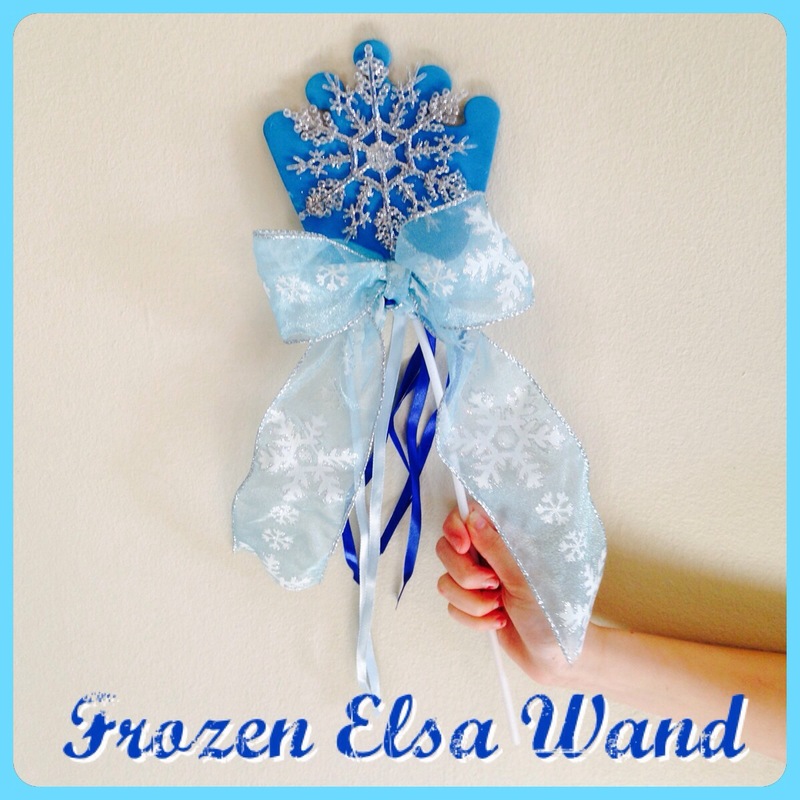 Have you seen the new animated movie Frozen?! My kids LOVED it! I think my girls fell so in love with the movie because of the two princesses are sisters. 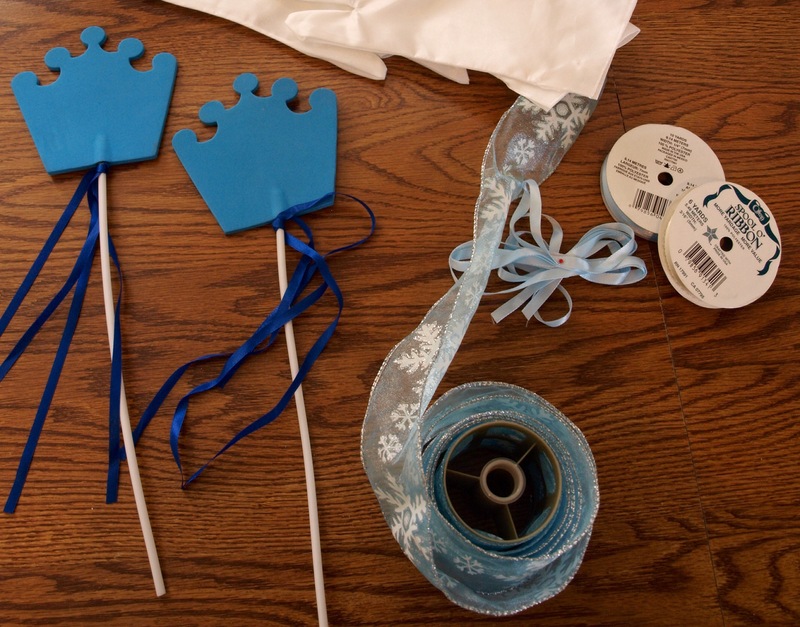 They enjoy pretending they are sister princesses also 🙂 This week the girls and I did some crafts that go along with Elsa’s character (the older sister) so they could play Frozen dress-up. 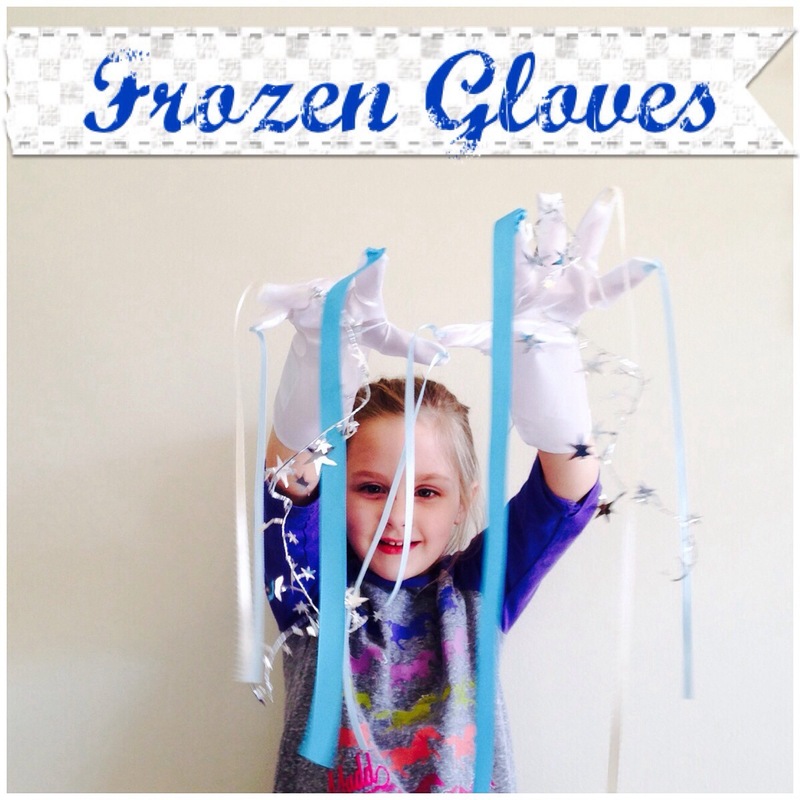 Elsa in the movie wears gloves and shoots snowflakes and ice from her fingertips. 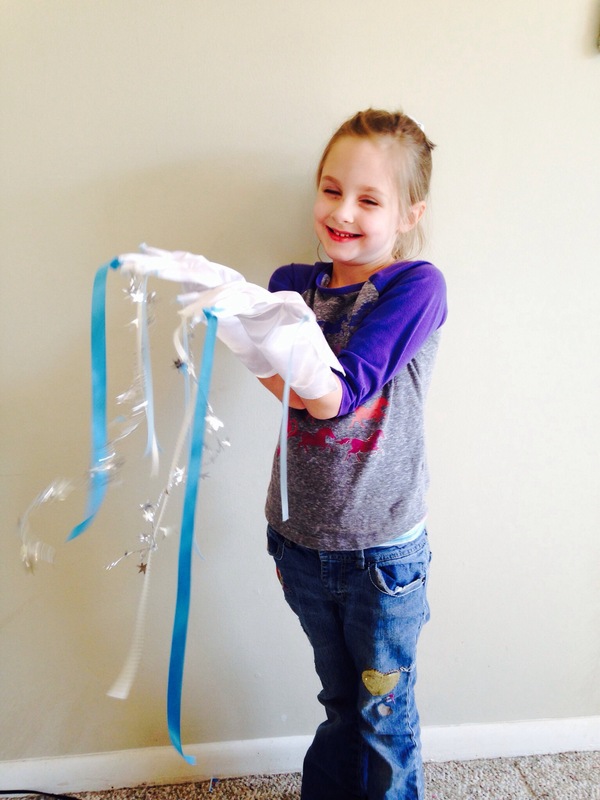 So we found white play gloves at the dollar store (we bought 2 pairs for $2 for both girls to have a set). 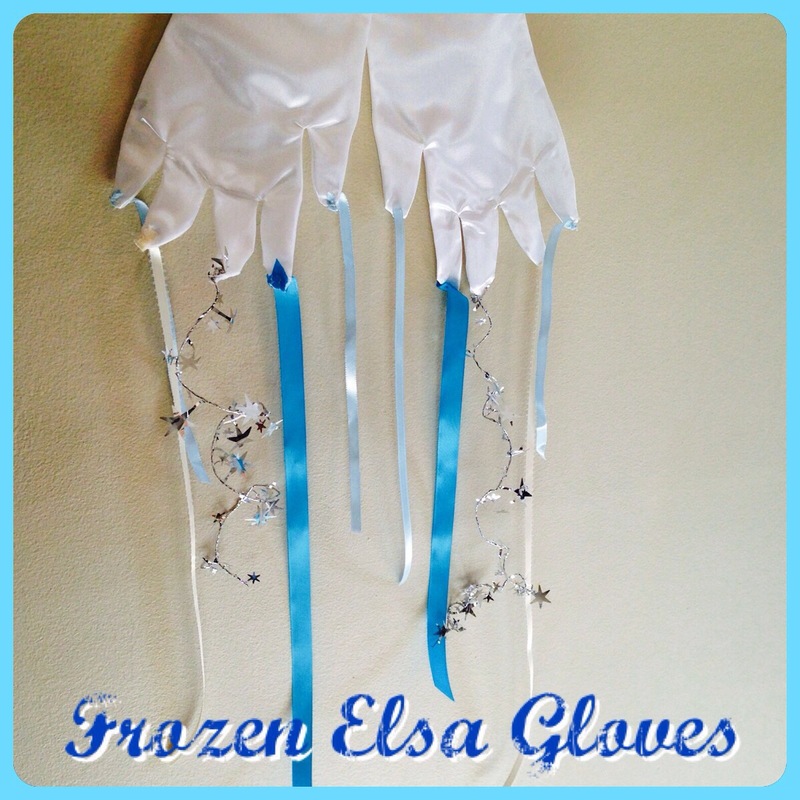 I had lots of ribbon scraps and sewed them onto the tips of the gloves and the girls love swinging their arms around like Elsa when she sends ice and snow out of her hands. The girls are so sweet pretending 🙂 We also got some princess crown wands at the dollar store (3 for $1). 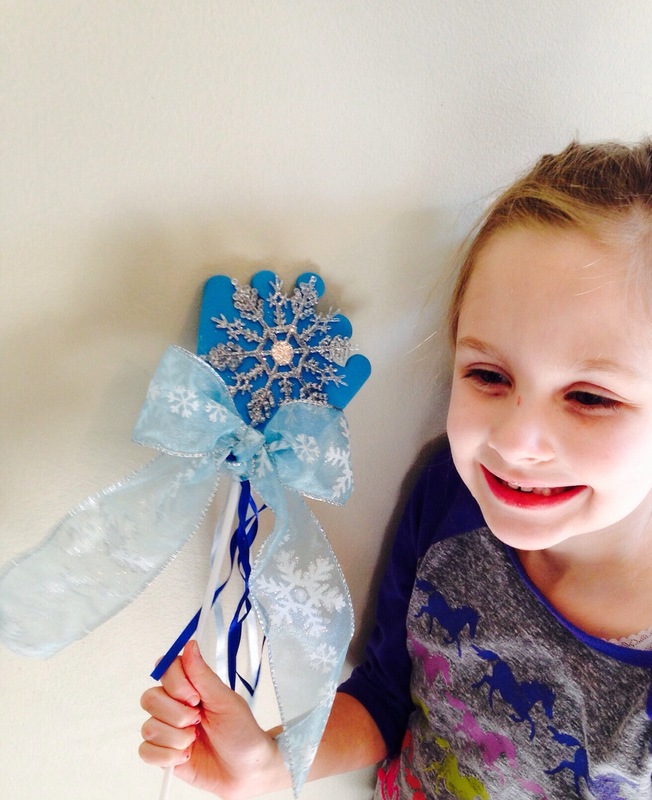 We chose blue since that is Elsa’s color from the movie and it looks snowy/icy. 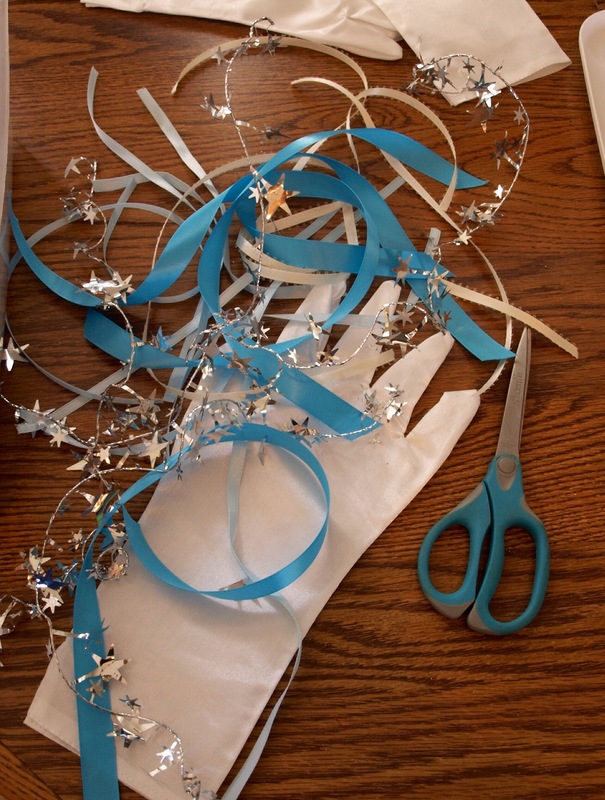 We added some glitter snowflakes I had and more snowflake ribbon. 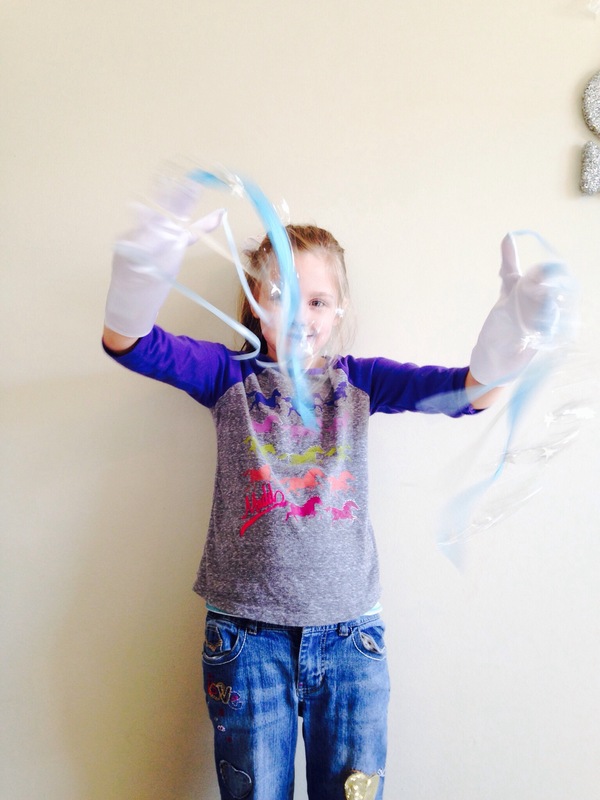 What dollar store did you find the gloves? I can’t find any less then $5 anywhere and I need 10 pairs! The Dollar Tree 🙂 hope you find 10 pairs!